Former Darlington striker Mark Beck has revealed that the offer to return to full time football was too good to turn down. Mark has agreed to move back into full time football with Harrogate Town for an undisclosed fee after being with Quakers since the summer of 2016. He banged in 18 goals for us last season to be one of the top scorers in the Vanarama National League North, and he said; “I really enjoyed last season, but I always had a desire to return to full time football where I’d been earlier in my career. “My aim was always to go full time again and I was hoping that it would be with Darlington, but then the offer to join Harrogate came along at the weekend, and I felt that I had to take the opportunity as they’re a full time club. 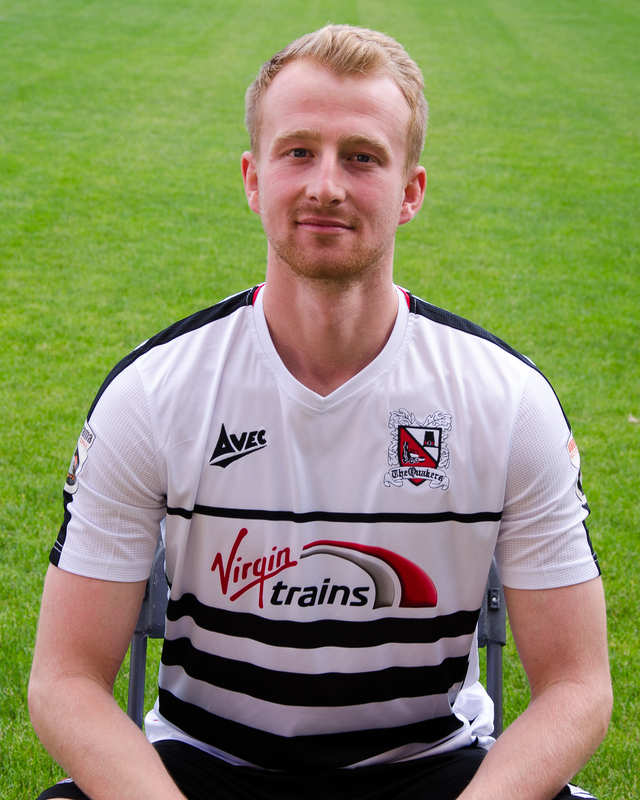 “I had a great time with Darlington, and scoring 18 goals was the most I’d ever scored in season. It was the first time I’d ever played for a full season! There were some great memories, especially scoring twice in the first game at Blackwell Meadows, it’s nice to go down in club history.